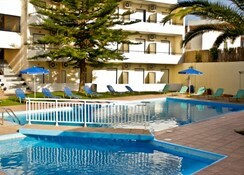 The Cretan Sun is a 3-star complex set amid the delightful resort of Platanias. This is an ideal destination for those who are looking for a peaceful holiday in the sun, with a sandy beach just a short distance away. The suitable accommodation is comfortable and pleasant while the outdoor pool and sun terrace are ideal for enjoying the warm sunshine. Guests can enjoy refreshing drinks at the pool bar before heading out for a meal at one of the many restaurants in the resort. The Cretan Sun is a holiday destination that keeps things simple, making it possible for guests to create their own kind of holiday with a difference. 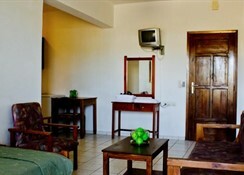 The hotel is ideally located and puts guests within reach of everything that they need during their stay. The sandy beach is just 300m away and here guests can spend their time soaking up the sun or enjoying some watersports. 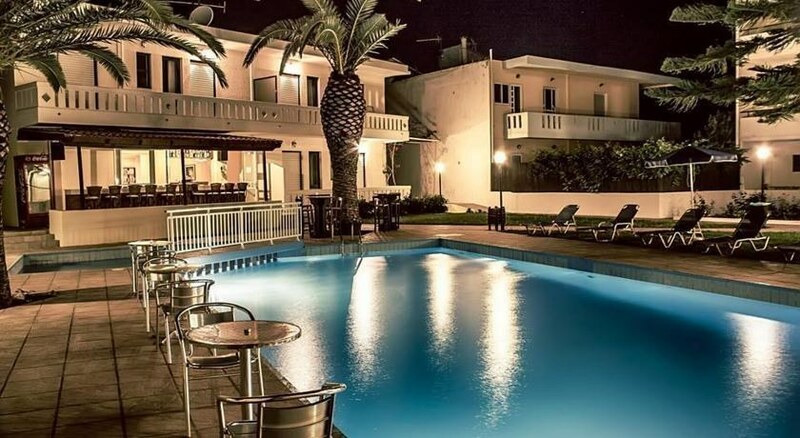 If that’s not enough, then there are bars and restaurants as well as plenty of shops not forgetting popular attractions such as karting, museums and Rethymnon Lighthouse. There’s something for everyone here, making it a great holiday destination for couples and families. The hotel is 73km from the airport. This quaint hotel comes with 37 rooms which includes One and Two-Bedroom Apartments, Studios as well as Double and Twin Rooms. 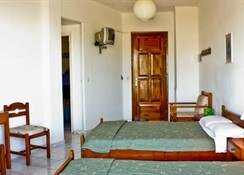 Each room is traditionally designed with plenty of light and space. All rooms come with a kitchenette, air conditioning, TV, minifridge, Wi-Fi, sofa and a furnished balcony ensuring guests have a comfortable and enjoyable stay. During the day, guests can head to the poolside bar where they can pick from a range of beverages and light snacks. When it comes to dining, guests can choose to dine in their hotel room, or they can venture out of the hotel where they will find a great choice of restaurants that are sure to meet the needs of every guest. There is a wide range of cuisines available to choose from as well as plenty of family-friendly bars. 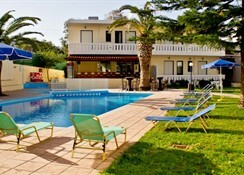 The outdoor pool is the ideal place for guests to spend time enjoying the sun and taking a relaxing dip in the pool. The hotel puts on weekly barbecues where there is a lively atmosphere but outside of the hotel is where guests can explore a whole range of attractions including water sports, go-karting and museums.